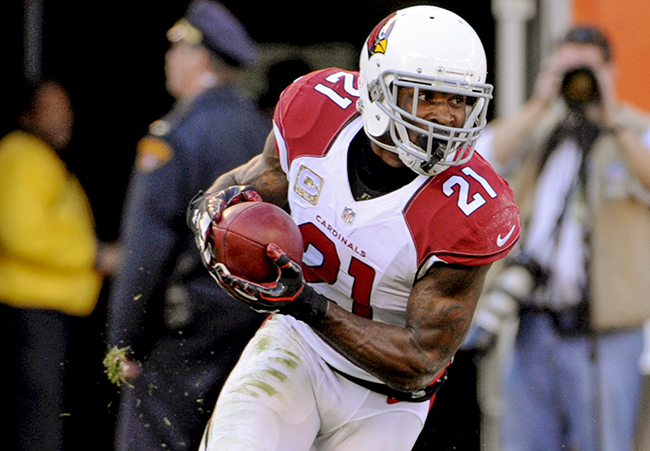 ​Speedy Arizona Cardinals cornerback Patrick Peterson has impressive wheels on the field — and in his garage. 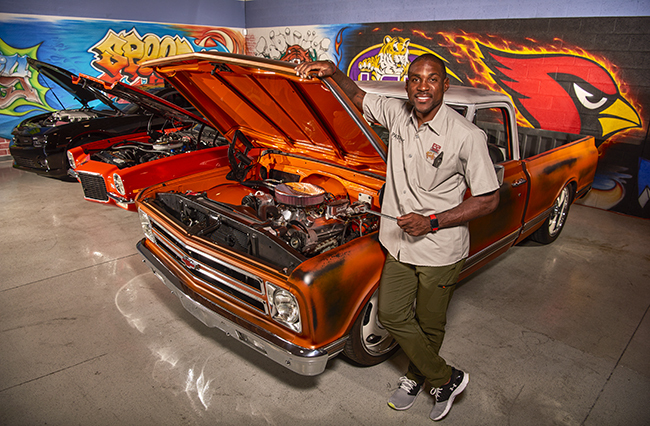 As a kid I was always playing with Hot Wheels, but I took a serious interest in cars when I was around seven years old. My dad's best friend was a mechanic, and whenever he had time he would build cars from scratch. When I saw the process — the passion and love he put into it — I knew I wanted to build my own car when I [had] the money. That's where my love of cars came from. As I got older, I came to admire luxury cars. Muscle cars are my favorites of all-time. My second favorites are probably exotic luxury cars (like Lamborghinis and Ferraris), and my third favorite is my truck. When I got to Arizona I bought the first car in my collection, a 1972 Chevelle. That car is my pride and joy. I didn't build it from the ground up or restore it, but it's special because that car started my collection. It was in phenomenal shape when I got it, but now that I'm able to put my own touches on the cars, my car builder and I are going to take it in a different direction. We're going to keep the color the same, but change the interior and the rear end. It's kind of like we're starting all over. There's definitely a criterion I have for cars that I want to add to my collection. I'm a Chevy guy. They also have to be cars from either the 1960s, 1970s, or early 2000s. I don't like cars from the 1980s or '90s. I'm thinking about maybe adding an Eldorado to the group, and I'm building a 1973 Impala right now that should be done in the next few months. The collection is awesome, but it's still growing.